It seems as though all the new, trendy restaurants in London have one thing in common: no reservations. They rely on reasonable prices, excellent food, and word of mouth, and the crazy thing is: people queue. For an hour. Or even more! It’s one of the British things I’ve never gotten into (unlike Downton Abbey), so I decided to make a plan to beat it. As I’m heading off for my 6-month sabbatical next week, I took an extra week’s leave from work to organise myself. There’s a lot of admin to take care of, packing to do, and of course, food to eat. It was the perfect opportunity to beat those dreaded queues, and with no office to come from or go back to, I was free to lunch at the 4 places on the top of my list: Padella, Bao, Barrafina, and the Barbary. All of these establishments are surprisingly small, have bar seats only (Padella has some extra tables), don’t take reservations, and refuse to seat you unless your entire party is present. Luckily, in the first two cases, that party was just me! So here are my adventures in queuing… or the lack thereof. I love pasta. But mainly, I love good pasta, which is astonishingly difficult to get in London. My previous favourite in London was Anima e Cuore, but it has now been surpassed by the amazingness that is Padella! I arrived at 11.55 on Monday and there were around 20 people queuing in front of me – luckily, as they have a downstairs area too, I got in with the first wave and was seated without delay. I was immediately struck by the briskness and perfection in the kitchen process, and couldn’t take my eyes off all the chefs. Every single portion of pasta is made to order, and at any given moment there were 10 individual pots simmering away. ‘How do you keep track of all them? !’ I asked in wonder. ‘With difficulty!’ the chef responded with a smile. He could tell if the pasta was done with just a glance (and sometimes a squeeze), swiftly draining off the water if so. After all, one minute here or there can be the difference between al dente and overcooked. 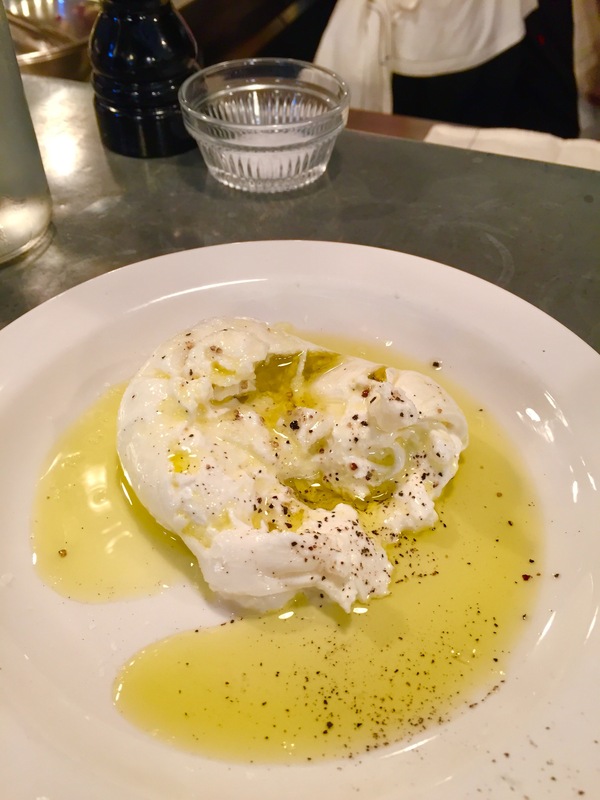 As recommended by Savla Faire, I started off with the burrata – which was gorgeous in its simplicity. Four ingredients: burrata, olive oil, salt, and pepper. As Theo Randall said to me last week, ‘What more do you need?’ I’m glad I didn’t order any bread on the side, as it would have filled me up, and I couldn’t have enjoyed the texture and flavour of the gooey cheese as much. And THEN, the pasta. 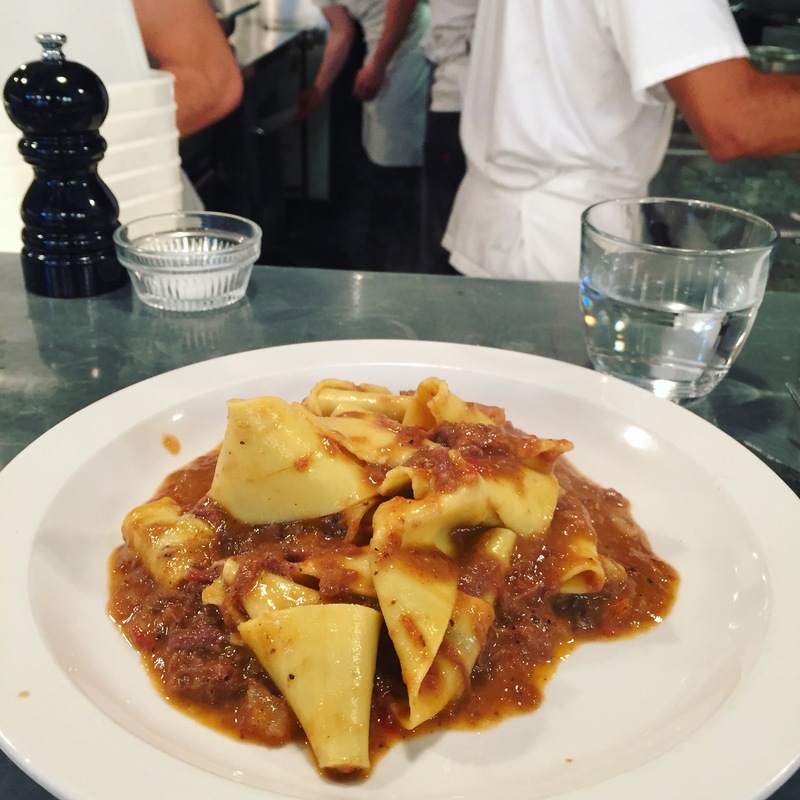 I had pretty much already decided on the pappardelle with beef shortrib ragu and I am SO glad I didn’t change my mind. It. Was. Incredible. The meat had basically turned into liquid, and the few chunks that were left melted on my tongue. The flavour was rich, but not too heavy, and there was a bit of a kick as well, which was pleasantly surprising. The portion was just right, as I felt comfortably satisfied afterwards, but not stuffed. And of course, the pappardelle was perfectly al dente. 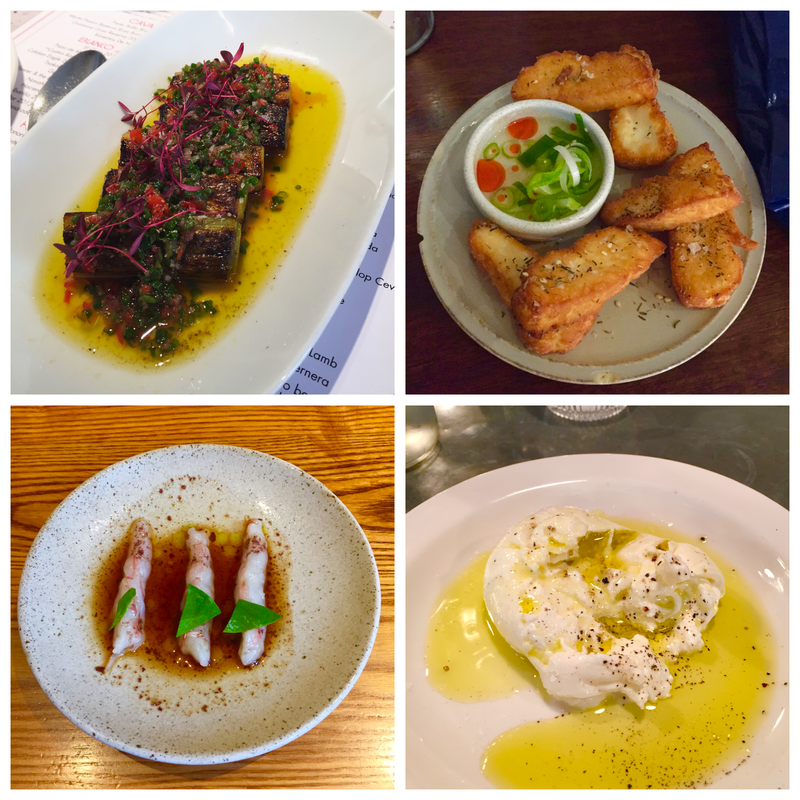 This was my first solo trip to a restaurant in London, and it was so much fun. I had brought a book, but in the end I just watched the chefs at work, which was far more entertaining. One of them was clearly new and being trained on the spot – fascinating stuff. I received excellent service overall, which was surprising as a lot of reviews had mentioned rudeness. Maybe because it was the start of the day? 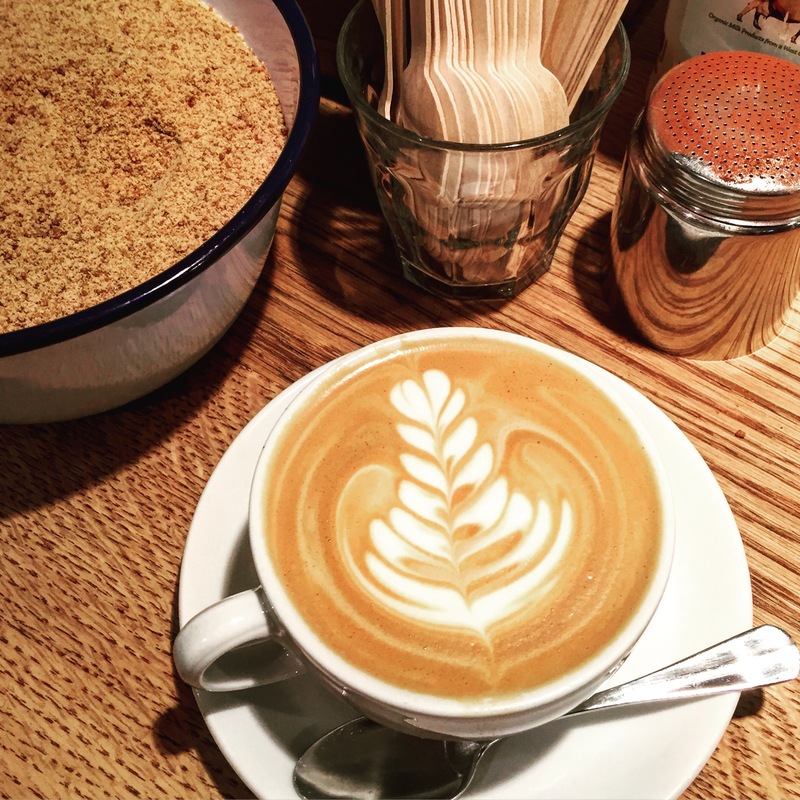 Extra tip: Follow up this visit with coffee from Monmouth Coffee just a few minutes away – every cup is freshly filtered and it tastes like absolute heaven! 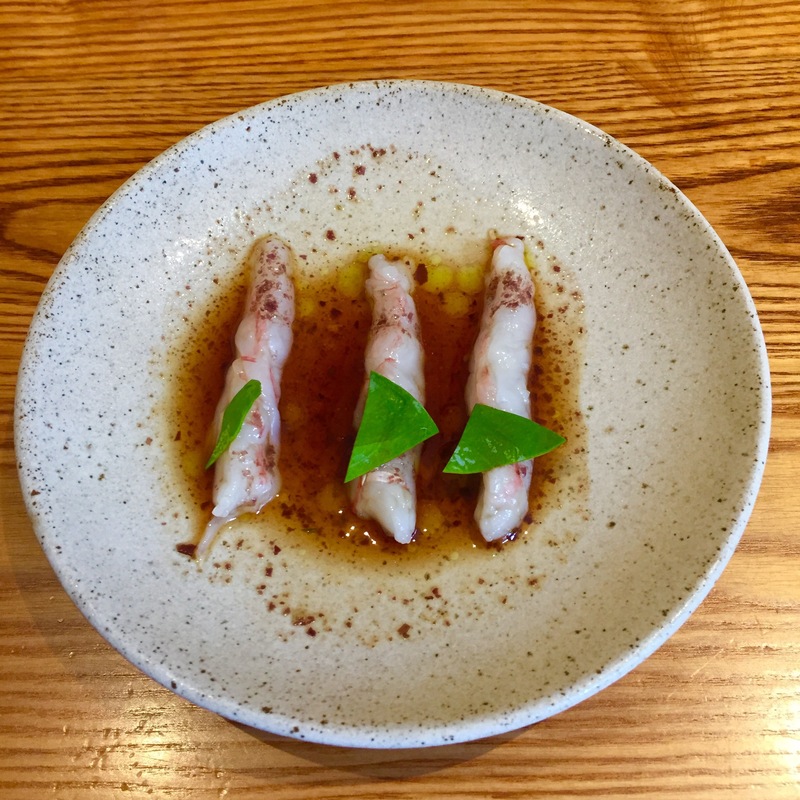 Best thing I ate: Raw langoustine, dulse, aged soy, oyster leaf. My second solo dining experience in two days, and again, a wonderful one. I was taken care of by a ridiculously friendly waiter, who told me about the founders of Bao, bonded with me on how neither of us were that impressed by Hoppers, and made me order the dish that I ended up enjoying the most: the raw langoustine. According to my new friend, the founder of Bao’s grandmother comes from a village where aged soy is made, and for this reason, Bao is allowed to order the product more often than other restaurants, who are only given this privilege twice a year. It must be good, I thought. And it WAS. The flavour was so rich and incredible that I ended up drinking the rest out of the plate, with no shame whatsoever! I was a little bit disappointed by the black cod bao – it looked beautiful and had a great spicy kick, but lacked salt and felt like more batter than fish. 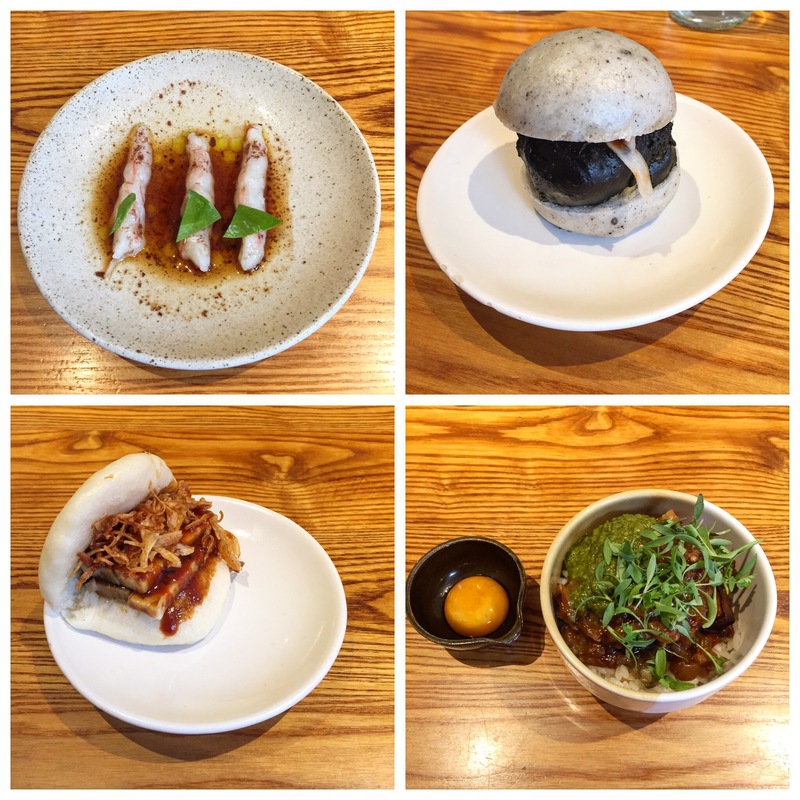 The confit bao was very tender and juicy but didn’t blow me away, and the mapo aubergine (with soy cured egg yolk), whilst very tasty and surprisingly spicy, was an indulgence I shouldn’t have ordered, as the rice was a lot more filling than I expected! I waddled out of Bao happy, but not quite in the same way as the day before. Day 3, and I was no longer flying solo! When I arrived, there was no queue and about 8 free spaces at the bar. However, as expected, I couldn’t sit down before my companion arrived, so I was left hovering awkwardly behind the other customers, peeking over their shoulders to catch a glimpse of the fresh fish on ice. The problem when you’re waiting on somebody is that there is always another customer doing the same, and there are some intense stares and constant texting to make sure that you get seated first! I just missed out on the last free space before my friend arrived, but a few words in Spanish to the waiter, and we were reassured and seated within five minutes. I truly felt like I was in Spain, as the service was jolly and familial – we became friends with the waiters by the end of lunch, with a complimentary glass of dessert wine after the bill, and handshakes and kisses blown as we left! Upon our new friend’s recommendation, we chose: stuffed courgette flowers, classic tortilla (if a place is fancy, I want to know how they handle a classic), leeks in vinaigrette, pork belly, and mackerel (a special of the day), finishing off with his favourite dessert, a sort of caramelised bread with nuts and deliciousness. Every single dish was utter perfection, but the reason I chose the leeks as my favourite is because they’re not something I would normally order, and I was unexpectedly blown away. They were so soft, so buttery, slightly charred, and the vinaigrette was tart without being overpowering. 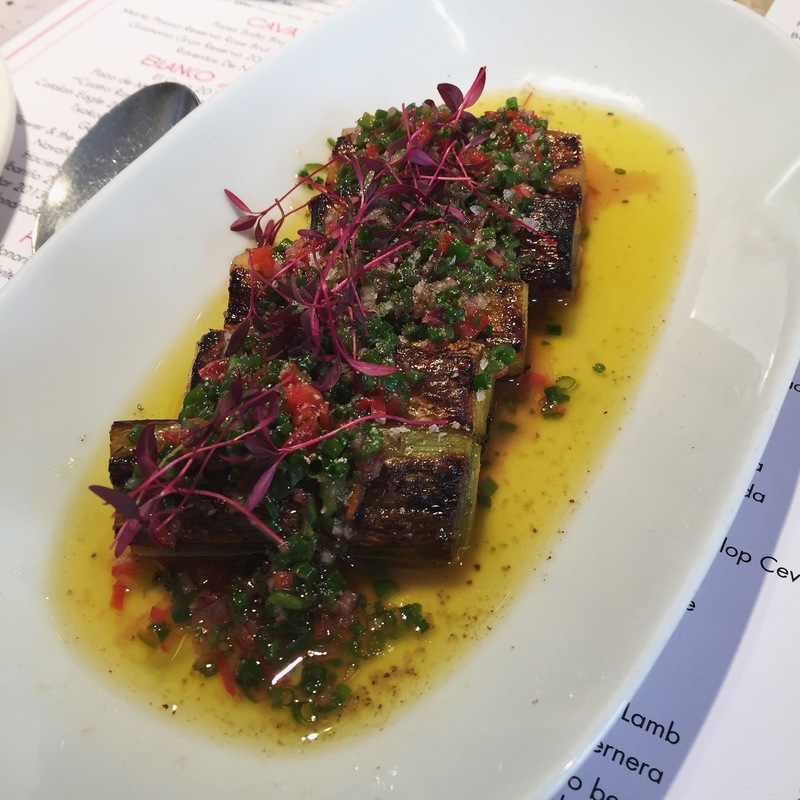 The classic tortilla was bursting with caramelised onions, which reminded me of Juanalaloca in Madrid, the mackerel had been filleted and opened ‘like a butterfly’, which gave it a beautiful look, and the pork belly crisped and crackled in our mouth. 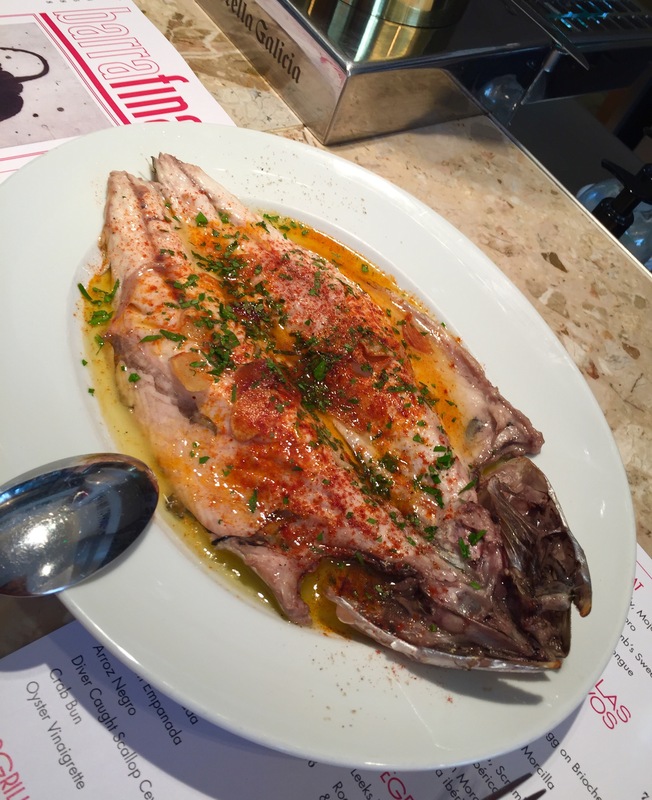 I was told that each of Barrafina’s branches in London (the one on Frith Street has a Michelin star) is quite different, and I definitely will be trying the others as soon as I can! Most people know that whenever I’m asked for my favourite restaurant, I unflinchingly say ‘The Palomar’. But now… I think it’s been overtaken. How fitting that it was done by the same owners and their new restaurant! As with Barrafina, when I arrived, there were still about 5 seats left at the bar, but they wouldn’t seat me until the party was complete. 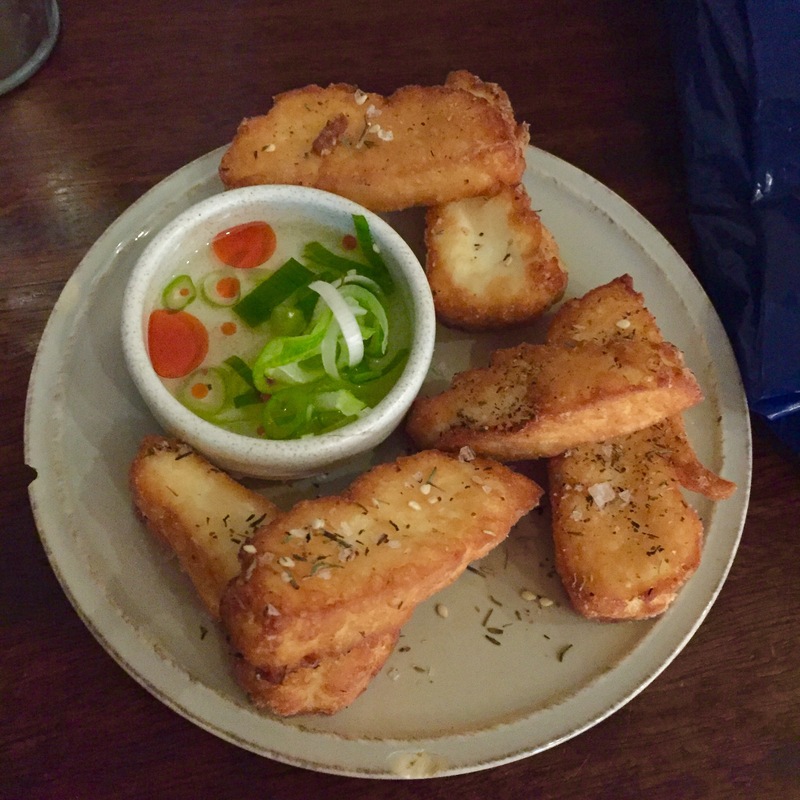 In the meantime, I ordered some halloumi fries, and they trounced the ones at KERB Camden by a mile, as they were lighter and felt more fresh. Every single dish was spot on, which is something that I have always loved about The Palomar, too. The butternut squash dip was a stroke of genius, with a subtle sweetness and flavour bursting out of every mouthful. The naan was pipingly fresh. 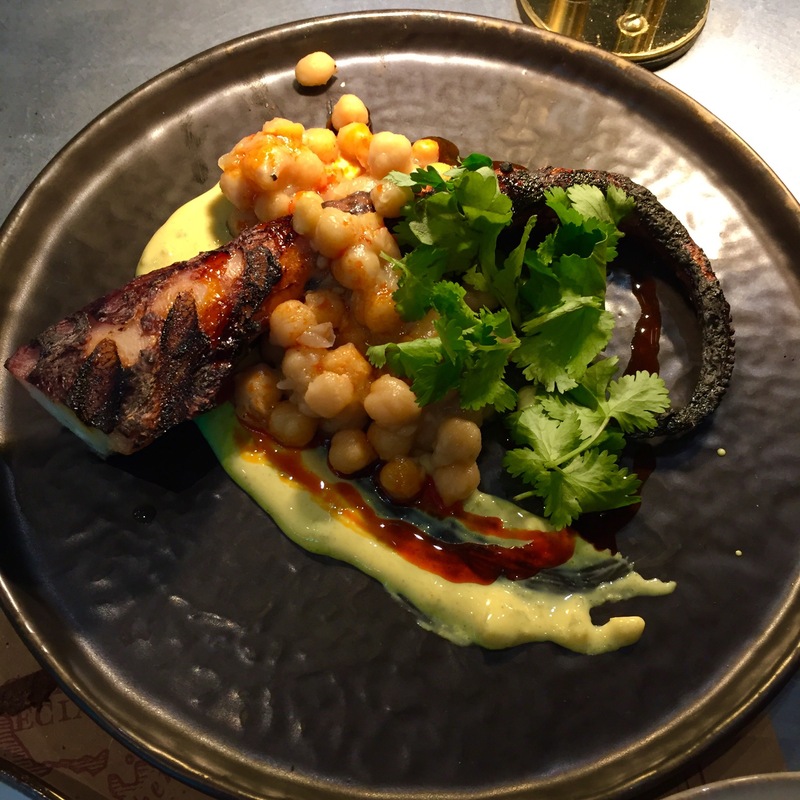 The octopus was succulent and had a kick to the chickpeas. The pata negra nearly made me weep, and when I squished the confit garlic on top, I think I did shed a little tear. As with The Palomar, the service (which is included in the price of the food) has that friendly and Middle Eastern touch. 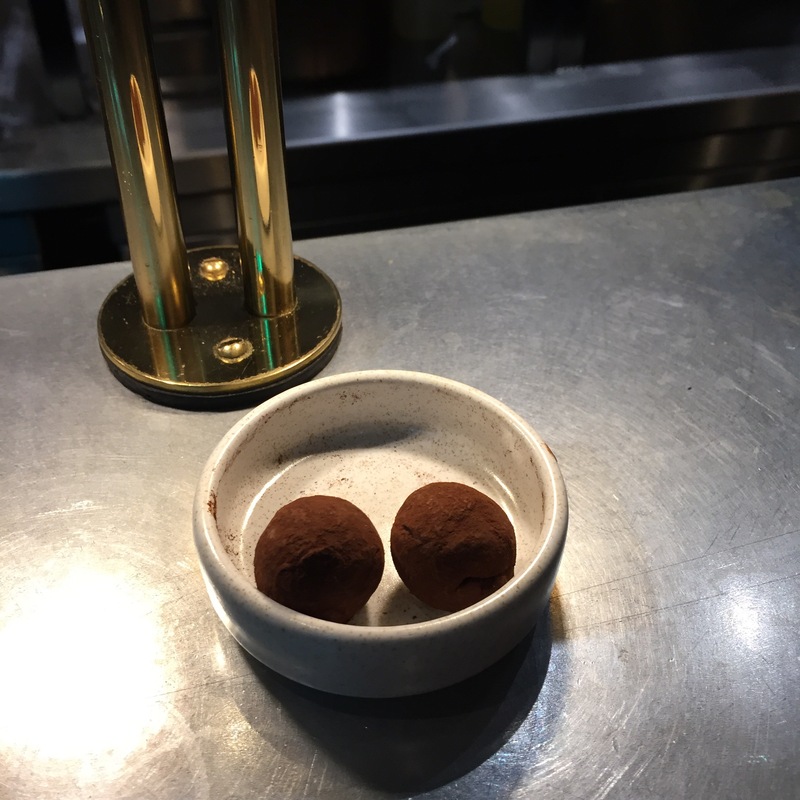 After we decided against dessert, we were brought two small truffles instead, but told ‘of course, if you don’t WANT dessert…’ Needless to say, we snatched them up before she could change her mind! I beat the queues… now what? So after this week, I have a new answer to the ‘favourite restaurant in London’ question. Actually, I’ve got three. Bao let me down a little bit, but the other three are certainly firm favourites. So my tip? If you want to bag a spot at any of these no-reservation restaurants, take a morning, afternoon, or full weekday off and go between 12 and 12.30 (apart from Padella, where you should be there bang on 12), or after 2pm (they all emptied out after the first wave). Alternatively, if you work in the area, stretch your lunch break a little and go beyond the standard Pret or itsu. Don’t bother about friends, just go alone, take a single seat at the bar, and chat to the cooks. Order whatever you want, and soak in the atmosphere – these lunches have been some of the best experiences I’ve had in London in the past four years! The Swindian is going on a little hiatus for the next six months, as I will be travelling across South America. I’m aiming to update my new blog, the Backpacking Bailarinas, whenever I can – you can follow that one here.